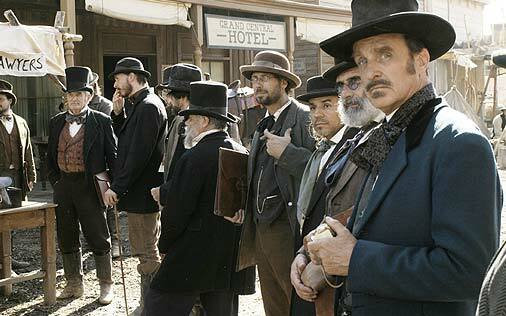 I haven’t been able to get a clip of my appearance on HBO’s Deadwood, but I did happen to come across these stills from the website. I’m in the first one on the far left, with half my face cut off. I’m not actually in the second one, but I’m including it because it happens to be the scene that came the closest to me actually interacting with actors on a TV show. 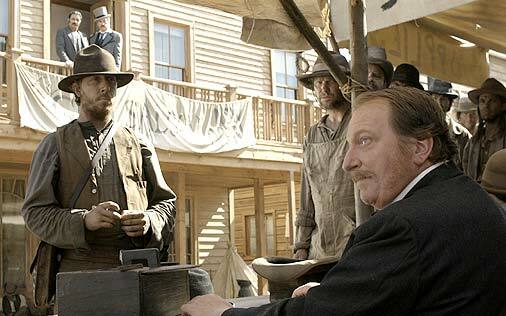 Jeffery Jones’ character, Merrick, actually turned and looked me directly in the eye as he was delivering his line about how nobody should try to bribe him, and it happens to be this shot right here.